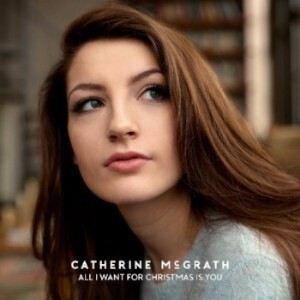 After being shortlisted this week as One To Watch For 2018 by The Independent, and had her new single ‘Thought It Was Gonna Be Me’ lead the Music Week playlist, country-pop star Catherine McGrath has today released her version of the classic track ‘All I Want For Christmas Is You’. Bringing her remarkable year of success to a close, Catherine has stripped-back the energetic pop of the original to perform a beautiful and warming acoustic ballad. No jingle bells, just her gorgeous voice and melodic guitar-playing to get you ready for the festive season. It comes after the announcement of her first UK headline show at the Camden Assembly in March, which sold-out in less than 24 hours. She has now added two more headline dates at Manchester’s Deaf Institute on May 1st and London’s Bush Hall on the 2nd. Following her two acclaimed EP’s One and Starting From Now, Catherine is now due to release her debut album Talk Of This Town, in spring next year via Warner Bros. Records. She has now released the second single ‘Thought It Was Gonna Be’, which secured her 9th consecutive New Music Friday UK playlist placement on Spotify. She has also put out a special acoustic video of the track, filmed backstage at London’s KOKO during her time on tour with Dan + Shay this month, which concluded yesterday in Belfast. The young Northern-Irish singer has spent the last 12 months winning the hearts of country and pop fans across the UK and Ireland. She has toured relentlessly with the likes of The Shires, Picture This, Dan + Shay and Kelsea Ballerini and played at the festivals including C2C, The Great Escape, Latitude, Boardmasters and British Summer Time. With her eagerly anticipated album on its way and live shows booking up, Catherine McGrath is set for a very exciting year ahead.